Proceeds from all orders will go towards Apollo PTA fundraising. Proceeds from all orders will go towards Apollo PTA fundraising; but this fundraiser is being organized to ensure enough funding to support 5th Grade Camp. 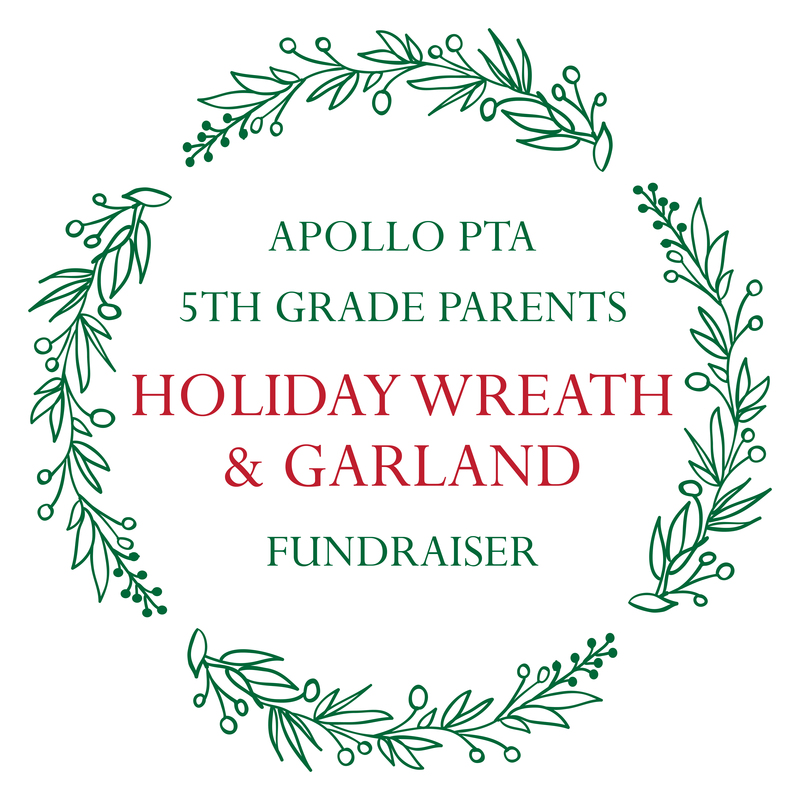 When thinking of your holiday decorating, please consider ordering your wreaths and garlands from Apollo PTA 5th Grade Parents. Questions about wreath/garland fundraising or want to volunteer? Please email camp@apollopta.org. Wreaths and garlands will be available for pick-up at Apollo on November 29th from 4:15 pm - 6:15 pm. Questions about wreath/garland fundraising or want to volunteer?